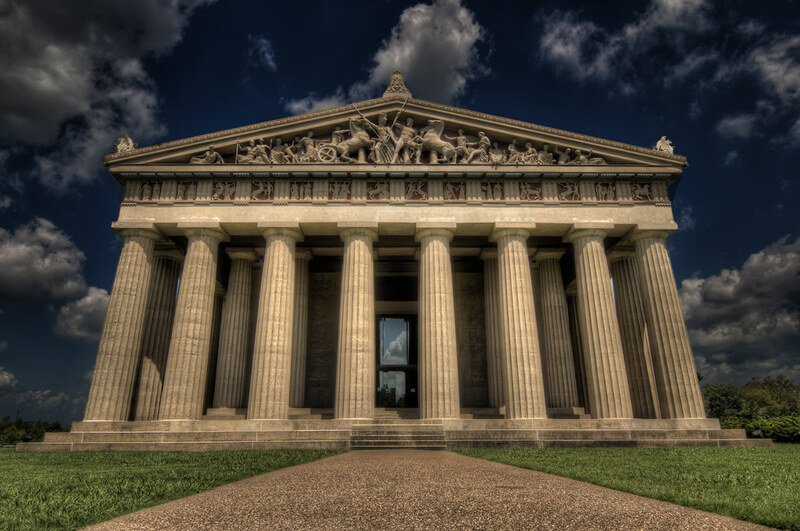 Spotted this Parthenon replica in Nashville last month when visiting Nashville. We stopped by so quickly at mid day that the out of camera shot was a bit...mid day-ish so I upped the drama in processing a bit. This building has such a grandeur that shooting it right on and getting the scale seemed appropriate. I also got this shoot people-free by shooting the back side of the building...and also it was about 95 degrees out so no one was really hanging out on the concrete.